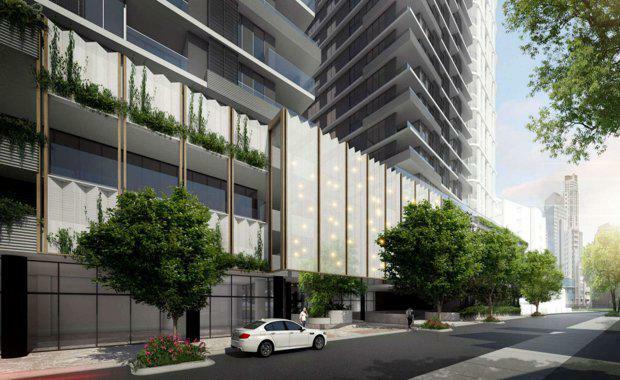 Land and Homes Group with the assistance of Cardno have submitted a proposal for a staged residential-led mixed-use development in Brisbane's Fortitude Valley, comprising an integrated podium with two residential towers. 5 two bedroom plus study units. The ground level provides for much of the frontage to be activated by retail tenancies, lobbies and publicly accessible urban open space. Five retail tenancies are proposed, comprising 728.8 square metres of gross floor area, with frontages to all streets. The retail tenancies include both indoor and outdoor dining areas overlooking the street, adding to its activation. 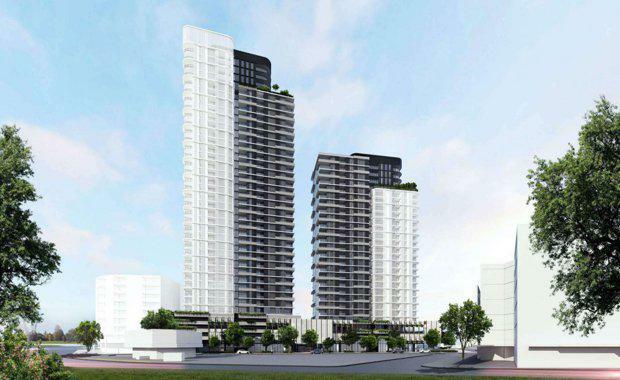 Lobbies of the two residential towers are accessed via the proposed central plaza. Pedestrians can access the site via pedestrian entry points off Barry Parade, School Street and Warren Street. According to the development application, the Barry Parade's design, which was created by Rothelowman, is responsive to Brisbane's sub-tropical context, with a nudge to climatic responsive design which resulted in natural ventilation and openings that enable a comfortable, passive, low technology, high ambience and sustainable urban living outcome. 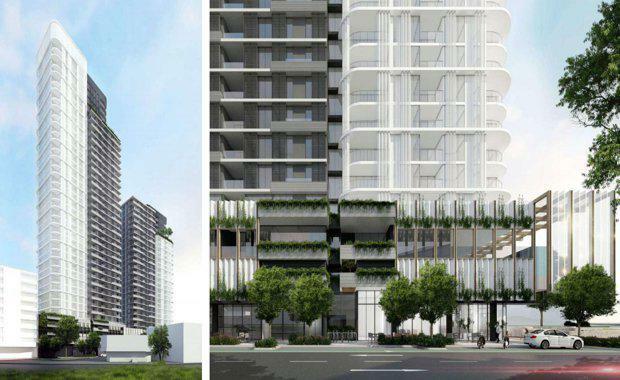 Barry Parade will provide greenery vertically, with sub-tropical landscaping throughout the ground plane, up the podium facades and within the recreation areas of the podium and towers. The landscaping will extend out from the publicly accessible plazas through the ground level to provide shade and protection and enhance the amenity of the site. 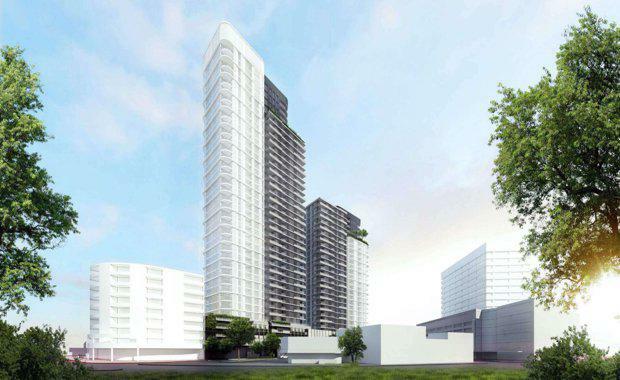 The proposal said the residential towers have been designed to provide openings to allow the façade of the building to be permeable to the climate and maximise access to daylight, natural light and cross ventilation. The shallow internal layout allows apartments to optimise the frontage width. The lobby on each tower level is provided with access to natural light via windows to the west. The residential towers have been designed to provide openings to allow the façade of the building to be permeable to the climate and maximise access to daylight, natural light and cross ventilation. The shallow internal layout allows apartments to optimise the frontage width. The lobby on each tower level is provided with access to natural light via windows to the west. Energy and waste reduction measures such as rainwater collection, WELS efficient fixtures and passive façade shading design are also proposed. "In a world of increasing globalisation and urbanisation, advanced cities are now focusing on improving the quality of their environments and the quality of life for their inhabitants," Rothelowman said in their design application. "In all walks of life from politics to dining out there is an increasing demand for local characteristics and culture to be heard. "This resistance to the homogenising impact of globalisation is being felt in our cities. It is precisely the local characteristics and culture that make a city more attractive to skills and investment – an increasingly important component in the competition for the modern city. "And just as cities are striving to reassert their individual character so buildings within cities need to embrace the local if they are going to appeal to an increasingly competitive market. "It is about a sense of connection and proximity to the trees; to leaves and the invasive nature of landscape. A sense of being beneath nature, protected and enclosed is key to understanding the domestic condition of Brisbane. Brisbanites gravitate to places that provide coolness, dappled light, and protection from the elements. "Whether in individual dwellings or communal and public spaces this proposal provides such spaces through facades that filter and modify the environment." Land and Homes Group have committed to the idea that their Barry Parade development will become a landmark and catalyst for the broader area, with future development of other public and private assets to also contribute to the creation of a desirable, attractive and active locality. 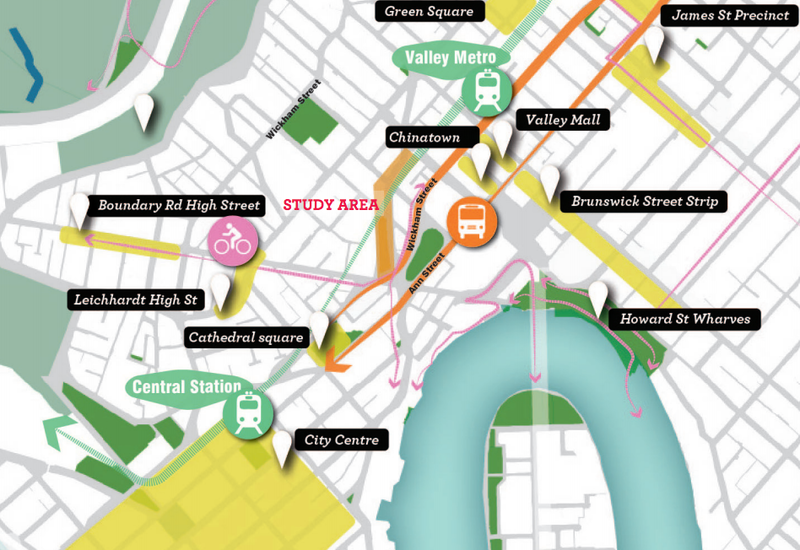 In this regard, they also prepared a visioning exercise for the broader Barry Parade precinct to make the area a key lifestyle and landscape destination for Fortitude Valley and the City more broadly, which may be delivered progressively by Brisbane City Council and local property owners/developers. “The local area lacks its own distinct ‘centre’ whilst a number of disconnected individual businesses already exist along Barry Parade," the developers said. “Barry Parade connects the northern edge of the CBD with the Valley and Spring Hill - it just doesn’t do it very well at the moment. 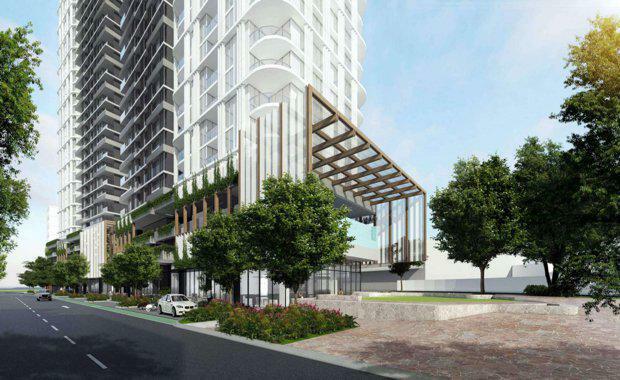 Images: Artist impressions courtesy Rothelowman Architects.